Northstar California Resort was busting at the seams with skiers and snowboarders last weekend after receiving its first significant snowfall of the 2018 season. But amid all of the chaos and throngs of first-timers, athletes from the North Tahoe Series were busy throwing down in the third and final rail jam of the season. Roughly fifty skiers and snowboarders hiked a small section of Northstar’s park on Saturday, Jan. 20, for 30-minute heats to see who could link together the gnarliest tricks. The 10- and 13-year-old riders brought the deepest field to Northstar, and after 30 minutes of presses, spins, and slides, the three judges awarded Brooklyn DePriest, of Rocklin, Calif., his second win of the season, while on the girls’ side Ella Sorensen, of Reno, won for the second consecutive week. Truckee’s Hahna Norman had the strongest performance for locals in the age group with a third-place finish out of the girls’ division. In 14-and-over competition, Reno’s Cole Sorensen made it three for three in rail jam wins, making use of the lip before the second rail to catch the day’s biggest air before landing toward the bottom of the feature. Truckee’s Dante Schipani finished in second place. Kaiya Quintieri, of Reno, won the girls’ division. 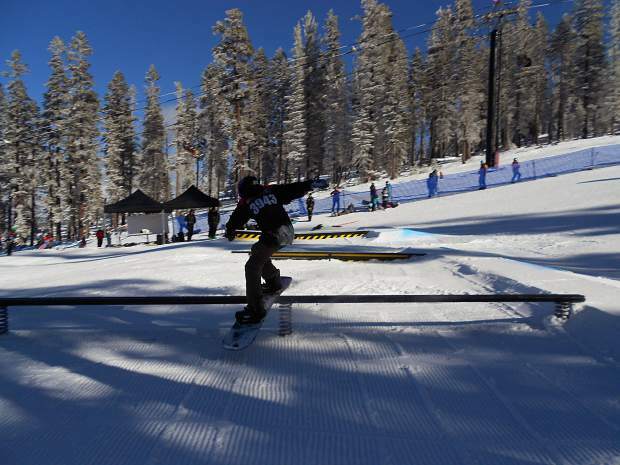 In the freeski competition, Truckee’s Sawyer Coll won his third rail jam of the season in the 10- and 13-year-old boys’ division, followed by fellow Truckee skier Charlie Keith in second place. 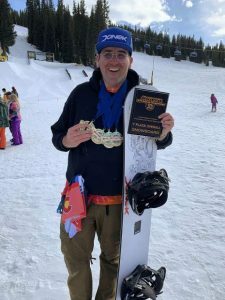 Local skiers continued to dominate the podium with Incline Village’s Jaret Cross winning the 14-and-over division, followed by Truckee’s Noah Rodarte in second place. Other winners included Elis Paquier, of Saratoga, Calif., in the 10-13 girls’ freeski class; Clements Evans, of San Francisco, in the 14-and-over girls’ freeski division; Will Hasselman, of Mountain View, Calif., in the 9-and-under boys’ freeski division; Beckett DePriest, of Rocklin, Calif., in the 9-and-under boys’ snowboard division; and Keir Lahiff, of Cupertino, Calif., in the 9-and-under girls’ snowboard division. 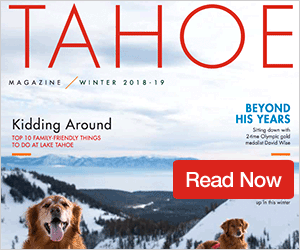 Due to a lack of snow to start the season, the United States of America Snowboard and Freeski Association North Tahoe Series has been forced to reschedule a number of events this year, and recently posted an update to its calendar. As a result, the North Tahoe Series plans on running three slopestyle events this season (beginning on Saturday, Jan. 28, at Boreal Mountain Resort), at least one half pipe event (Feb. 3, at Northstar) with the possibility of running others if conditions improve, and possibly cross races if conditions allow. For more information or to register for events, visit NorthTahoeSeries.com.